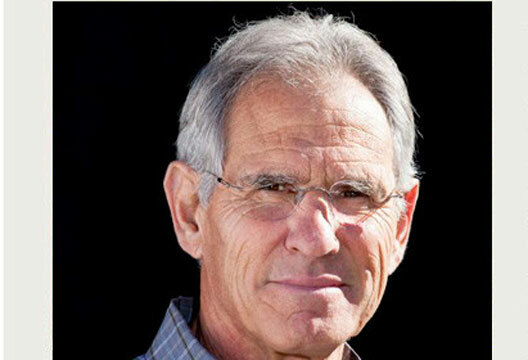 Jon Kabat-Zinn is Internationally known for his work as a scientist, writer, and meditation teacher engaged in bringing mindfulness into the mainstream of medicine and society. He is Professor of Medicine emeritus at the University of Massachusetts Medical School, where he founded its world-renowned Mindfulness-Based Stress Reduction Clinic (in 1979), and the Center for Mindfulness in Medicine, Health Care, and Society (in 1995). Edo Shonin is a research psychologist at Nottingham Trent University, and a Buddhist monk. He poses the questions here. Why do you think mindfulness is growing in popularity within psychology? There has kind of been a kind of explosion of interest around mindfulness that’s actually been going on for years but it’s reached the point where it’s kind of like – not just the big bang but the kind of inflation of the big bang. I think there are a lot of reasons for it. One is the kind of momentum in the science that’s built up over the years around mindfulness. So if you look at the plot of the number of papers in the medical and scientific literature over the past 30-35 years, it unfolds at a very low level during the eighties and right into the late 90s. And then it starts to rise and through the early 2,000s, it went higher and higher and now it’s almost going straight up so that [there were] over 700 papers in 2014 alone on mindfulness, and that’s not counting some of the kind of mindfulness approaches like ACT and DBT. You have defined mindfulness using words such as ‘non-judgemental moment-to-moment awareness’. What exactly does this statement mean? First of all let me simply say that we get almost no training in our education around awareness at all ... It is in some sense trivialised and ignored how powerful the human faculty for awareness is. So what meditation practice in general does and mindfulness specifically is to intentionally cultivate access to awareness, intimacy with awareness. It is not that we have to set up awareness, it is actually already fully developed. What we need to develop is moment to moment access to it. Why moment to moment? Well that’s really the only moment we are ever alive. But when we fall into extremes of thinking and emotion and so forth then often we are not in the present moment anymore … As children we naturally have the present moment but our education system in some sense squeezes that out of us in ways that are I think becoming apparent and the consequences – the very unwise consequences of it or damaging consequences of it – are becoming much better known now. So mindfulness in education and especially even in kindergarten and first grade and so forth, in primary schools, is becoming a major new vector of mindfulness in the mainstream world now. I wanted to ask about the term ‘non-judgemental’. Don’t you think it is necessary to make some sort of a judgement call to be able to discriminate that which is right and that which is wrong? That definition that you are asking me about is actually what I call an operational definition. It is not meant to be a final definition of mindfulness. It is more like a working definition of mindfulness. I don’t know if you know anything about the Zen tradition [of Buddhism] but it’s meant to be something of a koan – a deep question that is not completely amenable to a totally cognitive response. What the non-judgemental is pointing to is actually how judgemental we are. So you could think of it as an invitation to suspend judging as much as we can and just be aware of what is unfolding from moment to moment … I am also making a big distinction between judging which, in the way I am using the term, has to do with black and white thinking – I like this and I don’t like that, that’s good, this is bad – and discernment, which is what you are talking about, which is more the kind of operation of wisdom where you can see the subtleties – the thousand shades of grey between black and white – you know that kind of thing, which is absolutely essential to and part and parcel of the cultivation of mindfulness. If you read that definition and you don’t know anything about it you might ask well why the hell would anybody want to do that – ‘pay attention on purpose in the present moment non-judgementally’? And you will notice in the definition I don’t give a reason for why one would do that. Again that’s part of the Koan, its part of in some sense what’s left unspoken has a kind of real depth to it. But you could say, if you wanted a reason for doing it, it’s in the service of self-understanding and the cultivation of wisdom and compassion. Would you say mindfulness – in the manner that you teach it – is a spiritual or a psychological faculty? Neither, just to be as provocative as possible. First of all, I really try to stay as far away from the word spiritual as possible. But what I will say is that if push comes to shove, my working definition of spiritual is what it means to be really human, which would be another koan because different people would say different things about that. But if I call mindfulness a spiritual practice then of course, there will be people that think that’s wonderful and there will be an equal number of people, or ten times as many people, that think well that’s kind of religion, voodoo, really its nonsense, and they won’t want to have anything to do with it. I understand that while teaching it you might not want to use the word spiritual. But you personally, what do you think? Here I have to say I am not a psychologist by training and I have never thought of what I do as a psychological intervention. I use a different terminology. So I would call it a mind-body intervention. We sometimes call the field that’s developed around this mind-body medicine. In other words, the recognition that the mind and the body are not two different things. In what ways do you think mindfulness as a taught program, such as MBSR and MBCT, differs from the traditional Buddhist approach to teaching mindfulness? It partly depends on the quality of the teacher. If an instructor is well grounded in the meditation practices that underlie MBSR and MBCT then the essential difference might be zero. What is taught in Buddhist monasteries and what is practiced in Buddhist monasteries is essentially no different from what is taught in MBSR and MBCT – in the sense that one has an ethical foundation to the whole thing. In our case it is the Hippocratic Oath – first do no harm. And of course how would you know if you are doing harm unless you are cultivating mindfulness? And then, you know, it really is about the nature of the mind and the nature of what we call the self – and that’s what Buddhist practice is all about. Some Buddhist teachers and scholars have criticized the popular mindfulness movement and implied that what is being taught no longer reflects the traditional meaning of mindfulness or Sati. In fact, in some papers we find the term ‘McMindfulness’ popping up. What are your views on this? First of all, that term first came out of one person’s mouth or one person’s mind. When you say it is popping up, of course, every term like that tends to just go viral on the web, but it just came out of one person’s mind. This is not McMindfulness by any stretch of the imagination. What it is – now I have to use some Buddhist terminology – it is the movement of the Dharma [the Buddhist teachings] into the mainstream of society. Buddhism really is about the Dharma – it’s about the teachings of the Buddha. You know, in various Buddhist traditions, there are actually very big differences among Buddhists about what it is all about and what the best methodologies are and all of that stuff. So Buddhist scholars you know, love to, you know, stew with each other about the nature of all of those questions. And now that this is moving into the mainstream, I think instead of seeing that it has the potential to actually elevate humanity in profound ways that are just completely in accordance with the fundamental teachings of the Buddha about the nature of suffering and the possibility of the sort of transformation and liberation from suffering, they get into, kind of, what I might call orthodoxies that allow them to continue to basically throw grenades at something that is at least 99% healthy for people. Today mindfulness is described as a form of meditation in and of itself, but in the Buddhist canonical literature, mindfulness is described as a factor that regulates concentration (i.e., it is not actually a form of meditation). What are your thoughts on this? I think different traditions describe it differently. When I developed the language to describe what it is that I do – what i call Mindfulness-Based Stress Reduction or MBSR – there is no question its mindfulness. It’s often spoken of in the Theravada [Buddhist] tradition at least as the heart of Buddhist meditation. There was a monk in Sri Lanka named Nyanaponika Thera who was actually a German who spent his entire adult life in Sri Lanka as a Theravadan monk, and he wrote a book called the ‘Heart of Buddhist Meditation’. It came out in 1962, and I quote from it in my books, and in that book it describes mindfulness as the heart of meditation, that’s what the book is about and the satipatthana sutta. So you see I didn’t make up the idea that there is such a thing as mindfulness meditation. It is very much the case in the Theravadan tradition that it is seen that way. In the Vajrayana [Buddhist] tradition and in the Chan [Buddhist] tradition they don’t use that kind of language, but, you know, they also don’t necessarily refer to the Abhidharma understanding of mindfulness. So yes in the Abidharma mindfulness is a factor – it is one of the seven factors of enlightenment. But I am also using the word, just so you know, as a kind of umbrella term for the Dharma in some much larger and more universal sense. Not just as my working definition. A newspaper has described you as having done more to bring Buddhism into the mainstream than any other individual. Do you think this is an accurate statement and do you think this is a wise move? The Guardian got it wrong. I remember that headline. If they had used the word Dharma, then I wouldn’t have an argument with it – the Dharma in its most universal form. But I was not happy with that headline at all, it is just not true. And just to say the Buddha was not Buddhist. This has never been about Buddhism per se as an ‘ism’. The word Buddhism was coined by Europeans in about the 17th or 18th century according to some scholars. So even the terminology sometimes creates a separation and orthodoxies that don’t actually exist. Do you have any advice for psychologists wishing to use mindfulness in applied settings – such as in clinical contexts or with children, offenders, and so on? I do have advice for them. I guess the most fundamental thing would be that mindfulness is not a concept, it is not a good idea, it is not a philosophy, and it’s not a catechism. It is a way of being but it requires practice. My strongest advice would be to actually practice it for an extended period of time and then applications for particular areas of psychology that are interested will become in some sense obvious – and from a very profound place of interest. And then they can change the field of psychology. At least I hope they will. - Read more about mindfulness in our archive. The Psychologist is free to all members of the British Psychological Society, or you can become an Affiliate or E-subscriber from just £12. Find out more here. I'd love to know the people who are writing and talking about mindfulness who psychologists would recommend. I'm delighted to have found Jon Kabat Zinn.